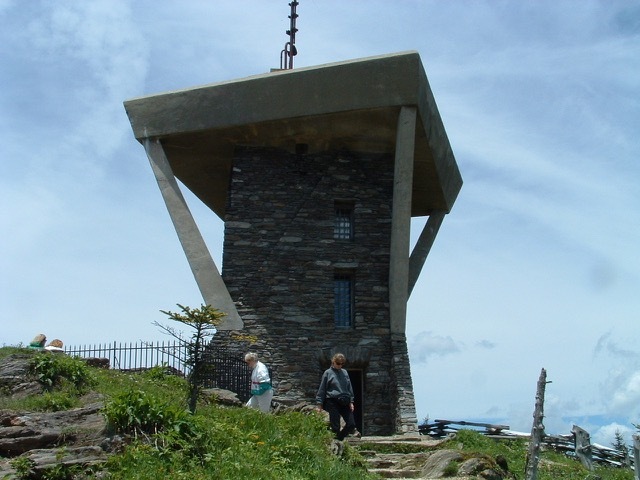 The "old" tower at Mount Mitchell which has since been replaced by a viewing platform which conforms to the ridgeline. Many North Carolina State Parks have "Friends" organizations which serve to assist the park rangers in their mission to preserve, protect, and promote responsible use of the state park. 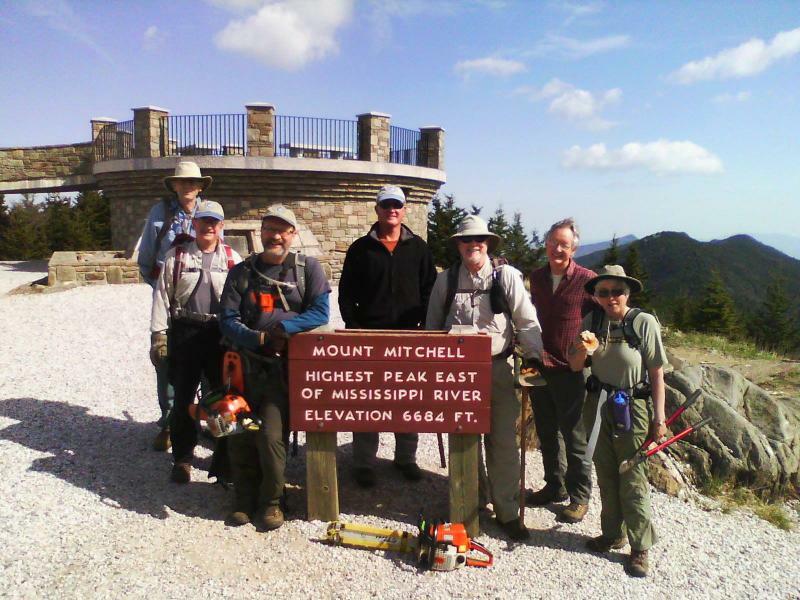 In 2012 NC High Peaks Trail Association became the official Friends of Mount Mitchell. In that role we provide support to the park in several areas. We have designed and installed a webcam located near the summit of Mount Mitchell that is available for viewing on our website. We have provided trail maintenance support and we also serve as the custodian of the Park's donation fund, described below. The N.C. High Peaks Trail Association is a private, non-profit 501(c)3 organization that serves in a fiduciary role for donations made to the Friends of Mount Mitchell State Park. Based in Yancey County, the group is an all-volunteer association that focuses on hiking, trail maintenance and the preservation of the Appalachian high country, with a special focus on the Black Mountains, the tallest mountain chain in the Eastern U.S. The group manages a bank account for donations made to Mt. Mitchell State Park; all expenditures from this fund must be reviewed and approved by the park administration.